STEVE BINGHAM PLAYING BASS WITH GENO WASHINGTON AND THE RAM JAM BAND: Geno Washington is an undisputed Master of Soul - he has released thirteen studio albums since 1966 and has performed alongside James Brown, The Rolling Stones, Bo Diddley and The Everly Brothers, to name but a few. He is back on tour with The Ram Jam Band aged 70, rocking crowds harder than ever. We had the pleasure of filming his live gig at The Blues Kitchen Shoreditch, and look forward to inviting him back on Friday, 2nd January, 2015! 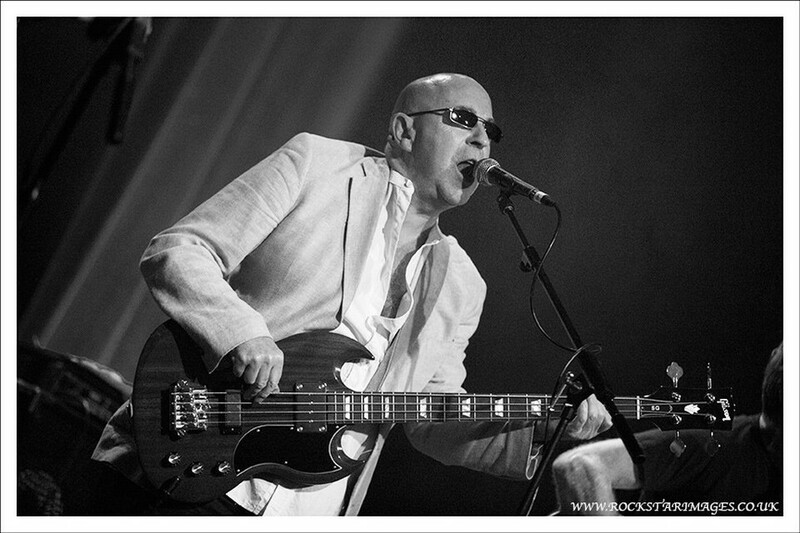 STEVE BINGHAM PLAYING BASS WITH GENO WASHINGTON AND THE YOYO'S: Geno Washington and The YoYo's live studio session performing "My Jolene". Filmed by Paul Keenan and Jon Phillips at the London College of Contemporary Music 04 May 2014. STEVE BINGHAM PLAYING BASS WITH SLIM CHANCE: Slim Chance promotional video for their remake of the Ronnie Lane classic "The Poacher", with footage from Nells Jazz and Blues, London, 30 January, 2016 synced to this track from their album "On The Move". Video directed by Paul Crompton. Officialy released as the new Slim Chance single via iTunes on 4th November, 2016! STEVE BINGHAM PLAYING BASS WITH SLIM CHANCE: Ronnie Lane's music is played with spirit at Camden's top venue. Hear the FINAL MIX by Charlie Hart. Slim Chance band members Steve Simpson, Charlie Hart, Steve Bingham and Alun Davies are joined by Geraint Watkins, John Lingwood, Benny Gallagher, Billy Livsey and Nick Pentelow for a fabulous and atmospheric night at Dingwalls, Campden Lock. This medley from the performance includes "One for the Road", "When Lads has got Money","Debris","You­'re so Rude" and "Ooh La La" and some really top Can-Can dancing! Celebrating the OOH LA LA ALBUM LAUNCH.